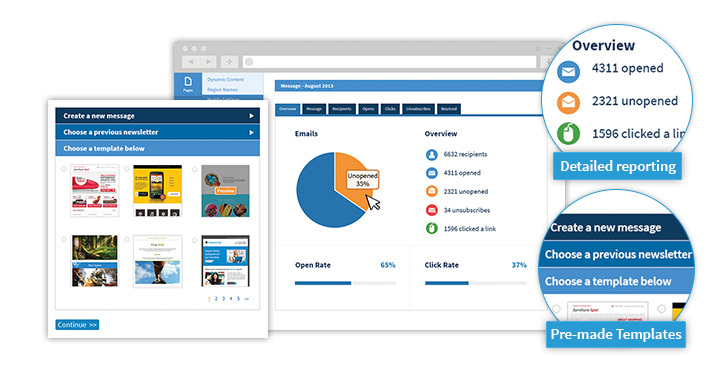 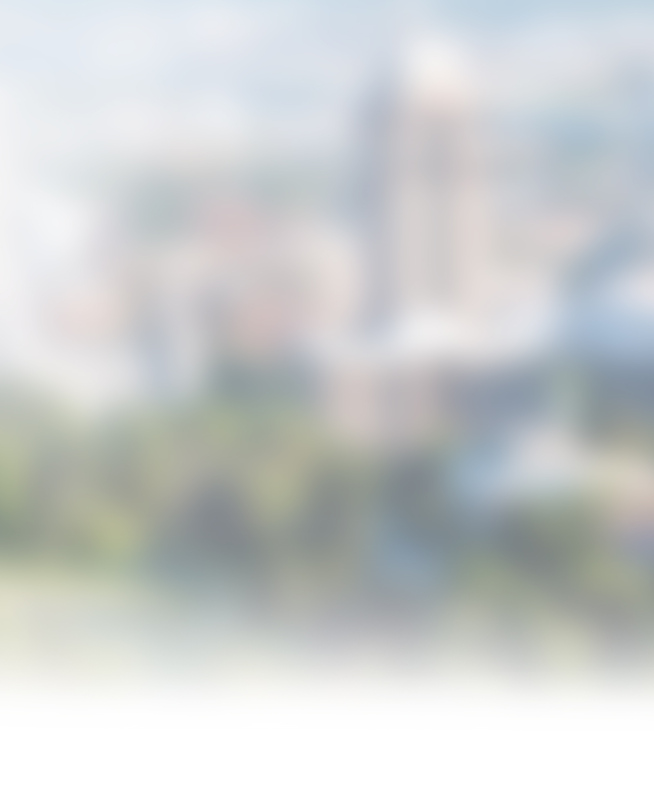 The email campaign manager is a turnkey web based solution that does not require any software to install or maintain. 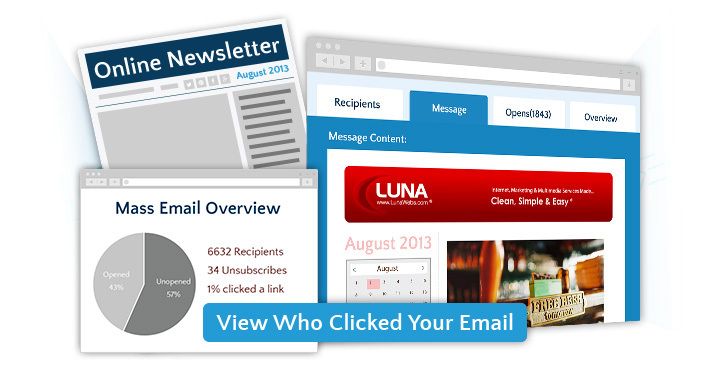 Your monthly subscription allows you to mass email users and see in real-time statistics that show who has opened the email, clicked on links and more. 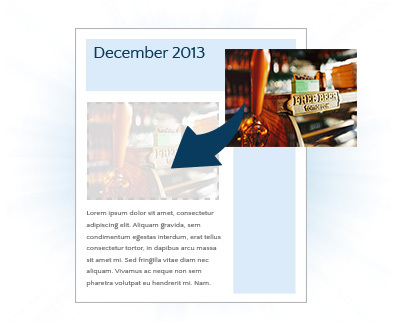 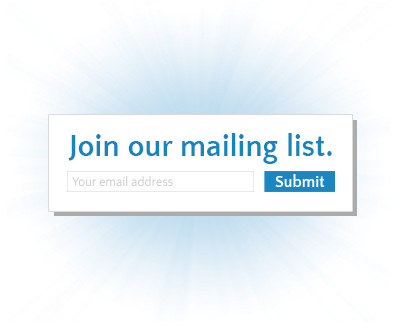 Users arriving at the website can enter their email address and other information to “sign-up” and receive a company newsletter. 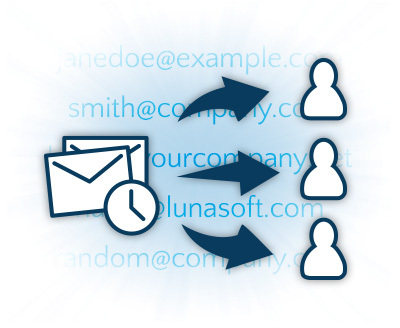 Administrators have the ability to create custom emails and send to large groups or custom lists of email subscribers. 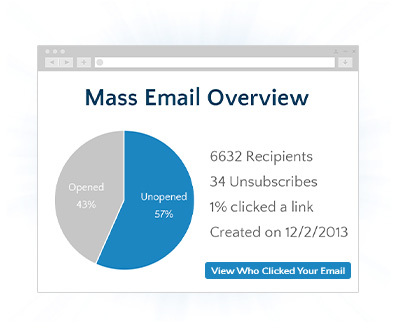 Statistics showing email campaign results for past sends are also accessible via a secure login.